convention in Sacramento, CA. Special thanks goes to the staff and students in Sacramento that contributed to the immediate and follow up care. In addition the sincerest gratitude to our athlete, Jakori, for his hard work, perseverance, and great attitude. 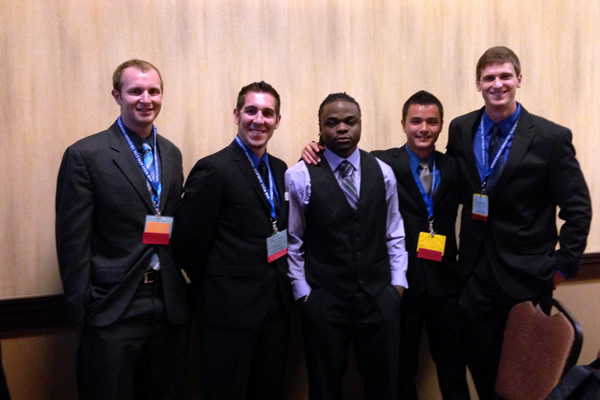 Pictured from left to right: Aaron Sinnott, Mike Sousa-Johnson, Jakori (athlete), Aaron Jones, and Mike Neal.